For every part of us that wants to be at our most stylish every single day, there’s also the part that wants to be as comfortable as possible, especially during the cold days of winter. 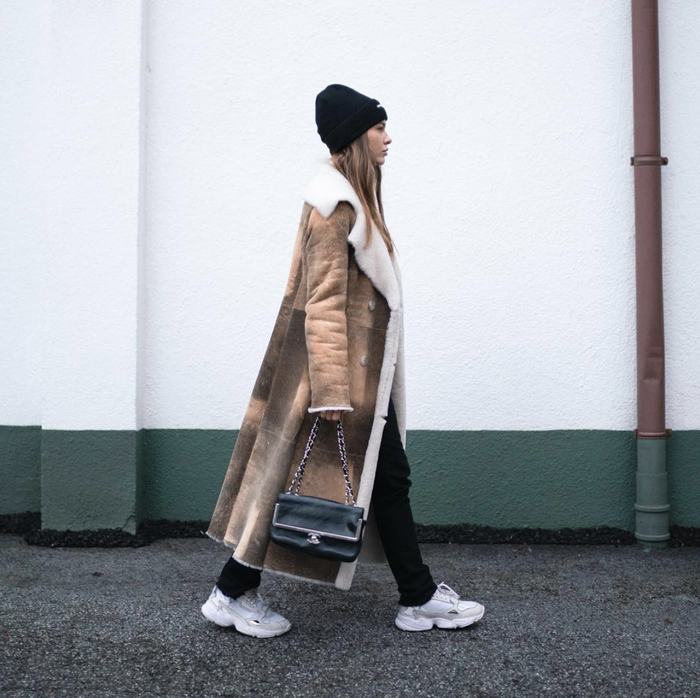 Luckily, you can have the best of both worlds thanks to the rise of athleisure and streetwear. However, styling those loungewear-inspired pieces like sweatpants and joggers is often easier said than done, which can leave you in the occasional style rut, especially when it comes to footwear. Not to worry, there are plenty of shoes to wear with joggers, and surprisingly, they’re not all sneakers. You’ve probably already noticed, but your sweatpants can be chic, and what shoes you wear with them will make all the difference. Leave it to our favorite fashion girls to find out exactly which shoe styles will go best with your comfortable bottoms. Keep reading to find every style of shoe that goes seamlessly with a pair of sweatpants while shopping a few of our favorites. You’ll be surprised at just how cool these pairings will look. Wear these with your favorite sweats or a pair of jeans. Yes, you need the latest shoe of the year. Leave it to Virgil Abloh to make white pumps cool. We can't get over how pretty these are. Give any outfit a touch of luxury with these Gucci sneakers. Veja is always a good option. Get in on the snake print trend, now. We're loving this take on the trend. These will go with everything you wear. The Row can do no wrong. Lime green is about to be everywhere. See? These shoes will go effortlessly with your joggers.